The best fashion blogs don't just give you incredible style advice—they give you inspiration. Fashion blogs engage you in interesting content and provide new ideas on the subject of fashion and the surrounding creative world. Sure, everyone wants great outfit ideas for their Pinterest boards and dream wardrobes, but fashion isn't just about looking perfect. It can be an expression of who you are and how you want to represent yourself in the world. Now, if that's a little too deep for you, fear not. Our roundup of the best fashion blogs is a mix of serious and lighthearted takes on style. Susie Lau's Style Bubble has been going for over a decade and includes intelligent articles on everything from underground global fashion talent to perfume. She also provides fascinating behind-the-scenes pieces on the real work it takes to create a beautiful Chanel garment. Then there's the tongue-in-cheek Man Repeller run by Leandra Medine and her team. Its smart, witty take on fashion is refreshing. But these are just two of 39 must-read fashion blogs we turn to for our street style fix. Click through the gallery to see the 39 best fashion blogs you should bookmark immediately. Why you should follow: Teisbaek is the ultimate chic Scandi woman, and her looks are ones we often try to emulate. While she only exists on Instagram, her range of eclectic outfits is enough to sate any fashion lover. Why you should follow: For all the minimalists out there, if you're not already following Harper and Harley, then might we suggest you do so pronto? The Australian blogger showcases chic outfits and more. We often turn to her when we're in need of updating our wardrobe staples. Why you should follow: Heilbrunner is one of the coolest women in fashion and knows how to wear the latest trends. Apart from for her known love of sneakers (Converse are her go-tos), she also runs the blog Hey Woman—covering fashion, art, beauty and street style. We can't get enough of it. Why you should follow: This site created by Emma Thatcher and Louise Redknapp is great if your wardrobe is a mix of designer and high-street pieces. Go here for easy-to-wear outfit ideas, beauty tips and interior advice. Why you should follow: You can rely on model and blogger Natasha Ndlovu for super-chic outfit ideas. From blogging about a pared-back white-tee-and-trousers combo to showing us her favourite pair of Zara sandals for summer, we're hooked. Why you should follow: Obsessed with shoes? If you don't already know about Sandra Hagelstam's blog, then you need to start reading it pronto. Her blog is an indulgent look at gorgeous footwear. Not only will it make you shop, but you just might get great outfit ideas on what to wear with your new shoes. Why you should follow: While plenty of other bloggers are full-time influencers, Lorna Humphrey manages to also squeeze in time to be a lawyer (yes, we know). Not only does she combine high and low price points, but she's always immaculately dressed. She's the perfect example of to do corporate dressing without ever looking stiff. Why you should follow: All hail Leandra Medine, who gives us the guts to not care what other people think of our outfits (even if we cause a few raised eyebrows in the pub with our socks-and-sandals combo). Go here for witty fashion ideas, essays on feminism and funny posts about inappropriate winks. Why you should follow: Bryanboy is one of the original fashion bloggers and has made a name for himself as one of the biggest internet celebs. He's even had a Marc Jacobs bag named after him and appeared on America's Next Top Model. It doesn't get more fashion than that. Why you should follow: Gala González's page is a place to go when you're looking for holiday dressing inspiration. (She often appears to be in sunny climates with blue skies on her Instagram feed.) Of course, it's her fashion choices that make us return to her site, but a little vacay jealously never hurt anyone. Why you should follow: As a stylist, Chriselle Lim knows how to put together a stylish outfit (or five). One to bookmark for elegant dressing. Why you should follow: Rumi Neely's brand, Are You Am I, is loved by many A-listers—from Emily Ratajkowski to Kendall Jenner to Bella Hadid. Her feed is sun-drenched and totally L.A.
Why you should follow: As well as finding the chicest street style shots, Collage Vintage documents founder Sara Escudero's life. From holiday snaps to new trends, this is always a fun, romantic take on fashion. Why you should follow: Tired of seeing streetwear pics? Fear not—Blair Eadie of Atlantic-Pacific is here to inject some sophistication into your wardrobe. Why you should follow: If you're struggling with getting dressed in the morning, fashion blog We Wore What can help with that. From office-ready combos to L.A.-style ensembles, this blogger's got cool style nailed down. Why you should follow: Lucy Williams is a blogger we go to for inspiration time and time again (thanks to her effortless way of putting outfits together). She's the simplistic fashion blogger—and we love it. Why you should follow: Arielle Noa Charnas began the blog Something Navy way back in 2009, but thanks to her mix of preppy New York style and fashion-forward looks, her site has become one of the biggest around. Why you should follow: If you don't know who Chiara Ferragni is, then you've quite possibly been hiding under a rock. The über-blogger has become one of the most recognisable faces in the fashion influencer world. She was the first blogger to land a Vogue magazine cover and often collaborates with many different fashion brands. Why you should follow: High fashion can sometimes seem like it's out of reach. While the likes of Chanel and Gucci will always hold a place in our hearts (and most bloggers' closets), sometimes it's great to know how to shop without spending a fortune. Alex Stedman of The Frugality constantly proves that the high street offers incredible pieces that look super expensive (such as this jumper from M&S). Why you should follow: For the serious fashion lovers, Susie Lau's site is the place to go when you want to know exactly how a piece of Chanel couture is made. It's also a place to enjoy great writing. Lau has dedicated over a decade to this blog, and it shows. Intelligent and insightful. Why you should follow: Pandora Sykes's blog is perfectly British and always delivered with a knowing wink. She offers advice on styling and travel as well as commentary on current cultural affairs. Why you should follow: If you're looking for more than a lesson in great dressing and want some real understanding of what it takes to be a fashion blogger, then go to The Haute Pursuit. Run by Vanessa Hong, the site now boasts its own online shop of minimalistic basics. Why you should follow: Corsica native and veteran fashion blogger Garance Doré began her blog in 2006 primarily as a place to showcase her skills as a fashion illustrator. Her blog's function quickly turned from showcasing her art and photography to writing about fashion and beauty. This is a great place to discover classic fashion with a French twist. Why you should follow: Aimee Song, a trained interior designer, started to blog about her outfits after she received a great response from her followers on her personal style. Her fun sense of fashion is massively influenced by her Californian roots, so expect sunshine-ready ensembles with a fashion-forward approach. Why you should follow: As a mother of two, Charlotte Groeneveld proves that mum style doesn't have to be mumsy. Regularly kitted out in the latest Vetements or Chanel, this is a high-end fashion blog with a bit of family on the side. Why you should follow: Want to know about the latest designers you'll be desperate to buy next season? Then Camille Charrière of Camille Over the Rainbow is your woman. The blogger often wears pieces from emerging designers (we spied her wearing Maggie Marilyn before many others), and her unique sense of style will have you coming back for more. Why you should follow: No fashion blog list would be complete without this great street style site. Style du Monde, run by photographer Acielle (first name only), is a collection of the most eye-catching looks on the street during the various fashion weeks all over the world. The majority of her shots come out of the biggies: London, Milan, Paris and New York. Why you should follow: If you're a real lover of wardrobe basics, then we suggest you bookmark Brittany Bathgate stat. She's a lover of chic yet quirky pieces and wears them in interesting ways, giving new life to classic pieces. Why you should follow: If accessories are your thing, then And Finally is where you need to go. The blog—created by Anna Rosa Vitiello and Florrie Thomas—will ensure that you'll never run out of outfit ideas. Think advice on how to style jewelry or a new pair of shoes. Why you should follow: Down-to-earth blogger Lizzy Hadfield likes to mix up high-street pieces with designer ones. Her blog, Shot From the Street, covers everything—from sharing whether or not an item is worth buying to showcasing cool holiday outfit ideas. You'll be clicking "like" on all her Insta posts before you know it. Why you should follow: Sophisticated Euro-chic is the best way to describe blogger Soraya's take on style. Whether it's an easygoing boho ensemble or a cool way to wear Chanel, there's something for everyone. Why you should follow: For a fun take on fashion, might we introduce to you Freddie Harrel? We love her so much we've featured her for having one of the Best Wardrobes in Britain. We just adore her personality and outfit ideas. Why you should follow: If you're into modest fashion, Desert Mannequin's cool and colourful outfit ideas should be an everyday essential for you. Why you should follow: Oslo-based Darja perfectly captures a Scandi-meets-Russian style. She's always impeccably dressed, and we've been been coveting her colourful wardrobe for a long time. Why you should follow: Former fashion buyer Annabel knows how to put a great outfit together. What more do you need to know? Why you should follow: If you're into the Los Angeles fashion scene, then try out Courtney Trop's blog, Always Judging. There's a definite rock 'n' roll edge to her style, though she also incorporates beachy vibes. 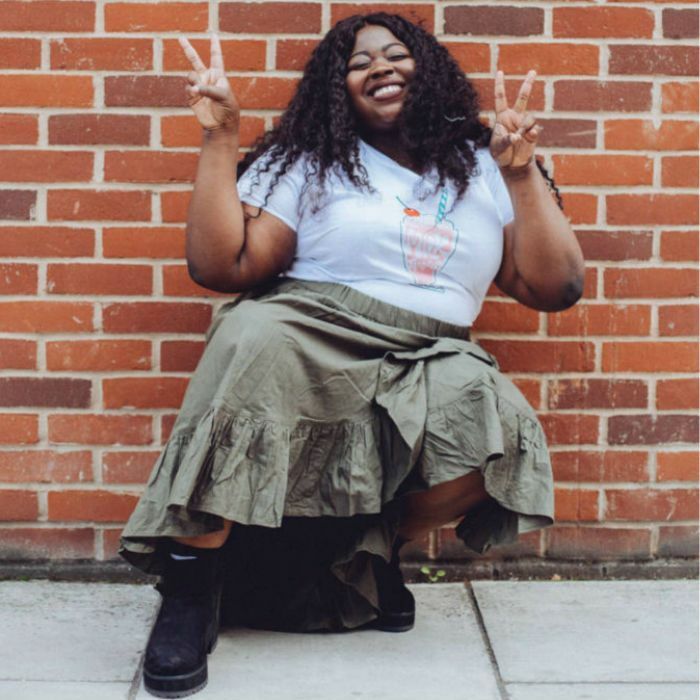 Why you should follow: There are plenty of bloggers in the UK that don't reside in London. Case in point? Ada Oguntodu, who lives in Aberdeen. Her take on style is a refreshing mix of bold colours and beautifully tailored pieces. A rising star. Why you should follow: Fashion blogs do exist outside of the bubble of fashion week, and Sincerely Jules is one of the biggest out there. California native Julie Sariñana often showcases clean lines and minimalistic ensembles in front of stunning backdrops. Now that you know some of the best fashion bloggers, see the seven biggest S/S 17 fashion trends you need to know about.